Yes, yes, I know you/your mom/significant other/the family that took you in after the terrible fire that no one explicitly blamed you for, but everyone knew it was you makes the best tuna salad in the world. I get it. How lucky you are to have access to that tuna salad. My parents would occasionally make tuna salad for my brother and I and we would eat it like a tornado of hungry monsters. Is that weird? I don’t know. It was just something we loved. My parents could have made it every week and we’d have been over the moon, but they didn’t care for us that much, so it was just a once-in-a-while treat. If you don’t have ravenous children at home or have, inexplicably, found yourself living with people who don’t like tuna salad, perhaps you don’t want to make a big batch just for yourself. And that is pretty much what restaurants are for, right? You want one thing, other people want other stuff, you let somebody with chef training and a well-stocked kitchen handle it for you. But if you’re one of those people who doesn’t like tuna salad, I’m not sure I can convince you otherwise except to say this: The stuff you’ve had, dipped from a tub purchased at the grocery store and lazily blobbed between two heel pieces of bread with nary a condiment in sight, that’s not the good stuff. We accept tuna in sushi and tuna steaks. Isn’t it time to admit that maybe, if the person knows what they’re doing, tuna salad can be just as good? 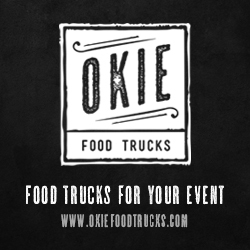 Here are a few restaurants I think you ought to try. 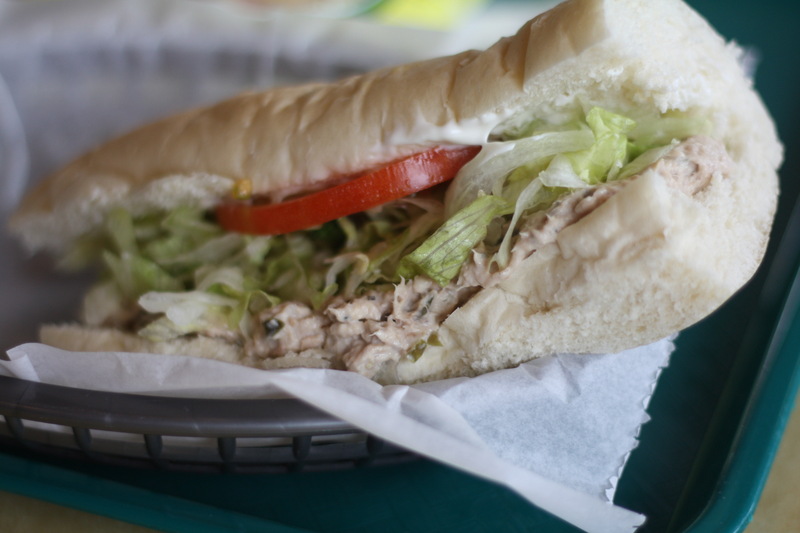 One of Oklahoma City’s classic sandwich joints, Neptune frequently sports a line of cars waiting to pick up an Italian meat-stuffed sub on their signature pillowy soft bread. The tuna salad here is straightforward and without frills. You get a scoop of mayo-mixed tuna with a hint of sweet pickle juice topped with shredded lettuce and a slice of tomato. That tomato does some heavy lifting here, lightening up an otherwise heavy dish and adding moisture. You can add jalapenos or just give it a dash of the hot sauce sitting at the counter for some added pop. “It’s just plain old tuna salad,” said Elemental Coffee chef Elena Hughes, but don’t listen to her. It’s not overly complicated, true, but it’s absolutely excellent. 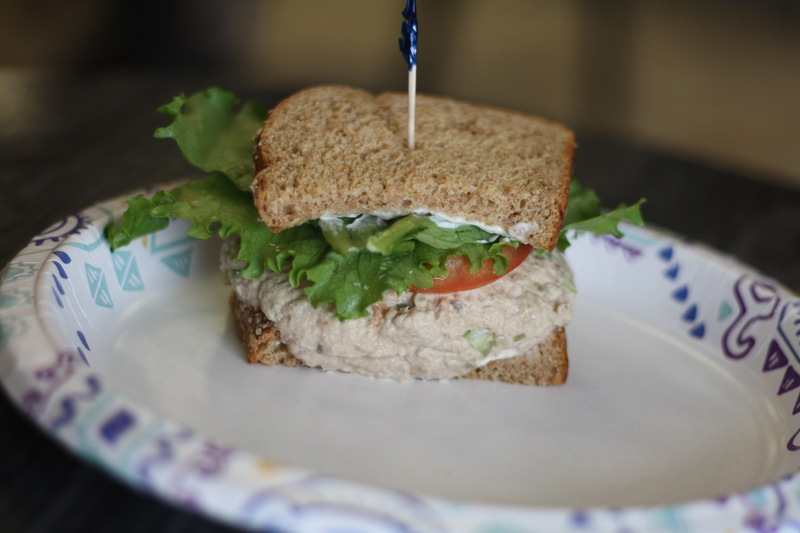 It’s tuna and small diced celery, immaculately seasoned, on local honey wheat bread. The tuna gets a flavor boost from apple cider vinegar and lemon juice, which add a little sweetness and bright contrast to the meat. Her recommendation: get a side of chips and add them into the sandwich. Game changer. Technically, Lee’s is a chain. But since the rest of them are all in California, and because I truly don’t care if it’s a chain if the food is good, I’m adding them to the list. 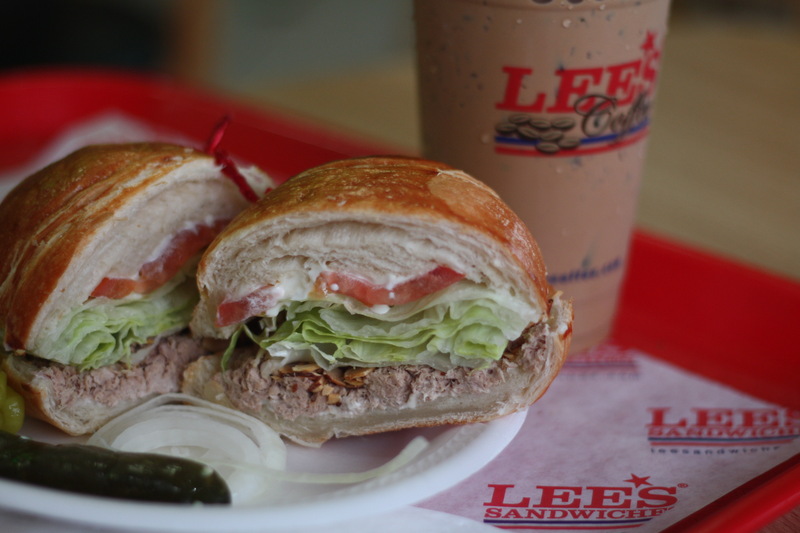 Lee’s serves a “tuna almond” sandwich that is exactly what it sounds like: tuna salad, sliced almonds, lettuce, tomato and sweet mayo on your choice of a baguette or a croissant. I like the croissant, myself, and find that the tender flakiness and buttery flavor really enhance the overall sandwich. Nothing revolutionary to the taste, but a good, solid sandwich. Sweetened with pickle juice (I think), the tuna salad at ND Foods is creamy and plentiful, stacked high on your choice of bread with lettuce, tomato and mayo. This was a pretty great sandwich and one I think a lot of folks would think of as “classic.” The best part about get a tuna salad sandwich at ND Foods is the ridiculous pastry case and selection of soups you can pair with your entree. I love all kinds of breads, but I was definitely raised on sandwich loaves, so I’ve always had an affinity to the upscale suburban feel of The Sandwich Club’s offerings. They make sandwiches like you could make at home if you had every single condiment, meat and vegetable you want on a sandwich. The Swamp Thing is their spice-infused tuna salad sandwich, with pepperjack cheese, jalapenos and Cajun mayo on jalapeno cornbread. If you like heat, this will do you just right. Waaaay out in Midwest City, Napoleon Deli might not be in your regular rotation yet, but it should be. The sandwiches come on chewy french bread and are pretty well loaded with fixings. 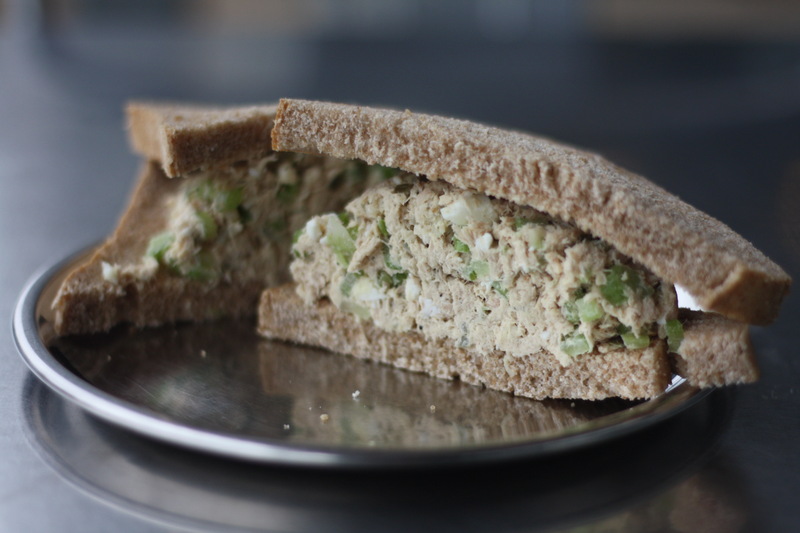 The tuna salad sports a bit of a twist: chunks of apple. It’s a fairly ingenious addition, adding sweetness and crunch. I’ve had tuna salad with grapes and nuts before, but apple is kind of a twofer. 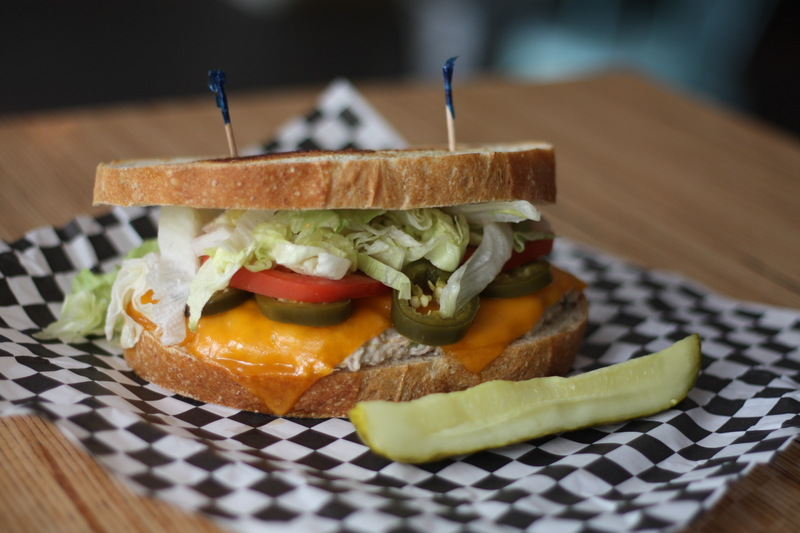 The Lutz Melt is, like everything I’ve had at Scottie’s Deli, one heck of a sandwich. Scottie’s uses great bread, for one, which is buttered and toasted. 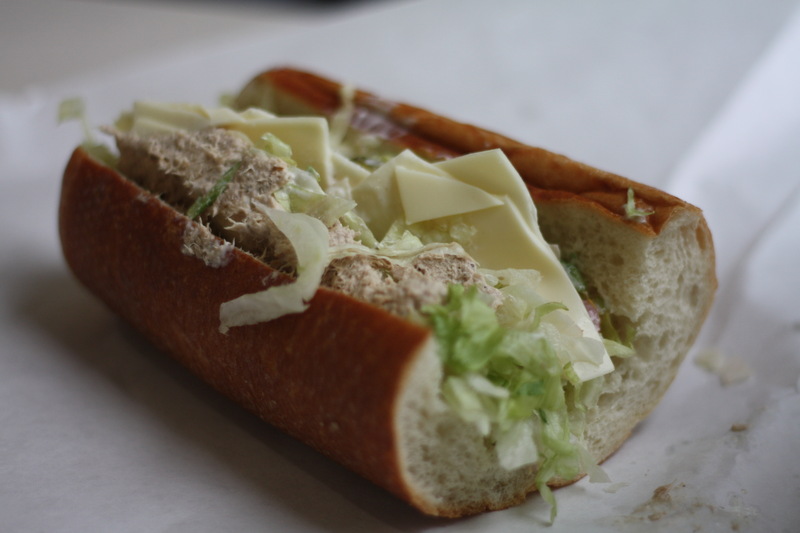 On that goes melted cheese, creamy tuna salad, lettuce, tomato and jalapenos. This is that perfect blend of just a little too spicy to wolf down and too good to stop eating. Grab some napkins, though, because this bread will leave a buttery sheen on your hands. And it’s big. I feel like I should make that clear: This is a large sandwich.